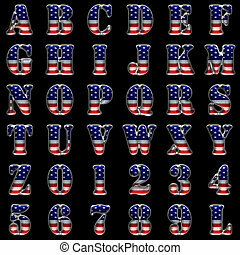 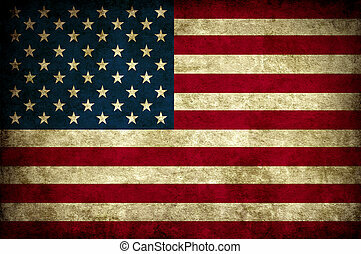 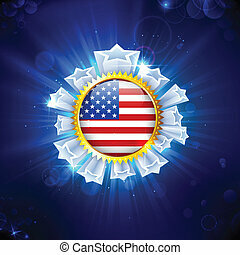 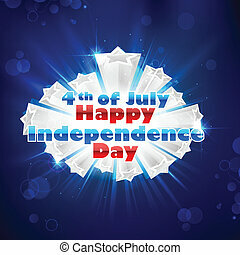 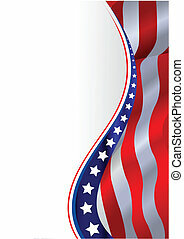 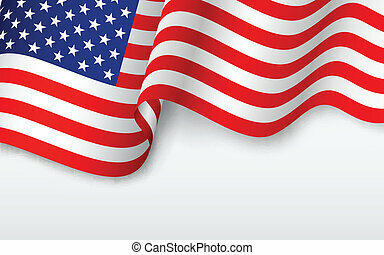 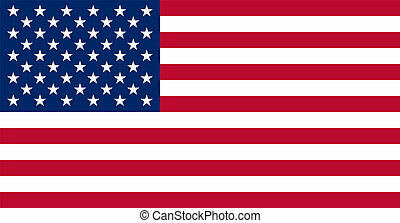 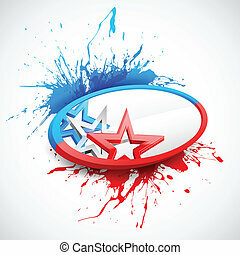 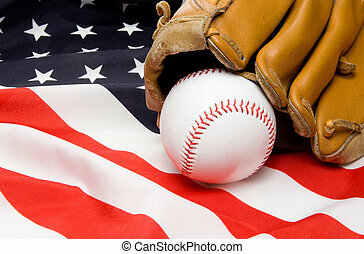 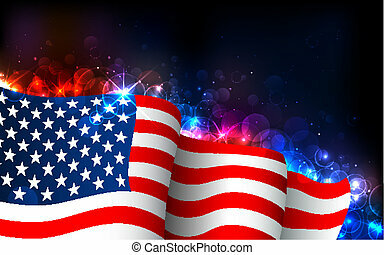 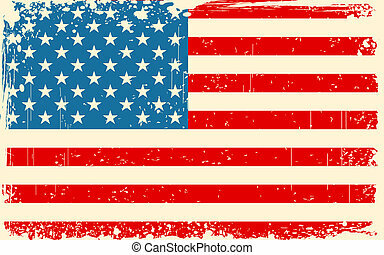 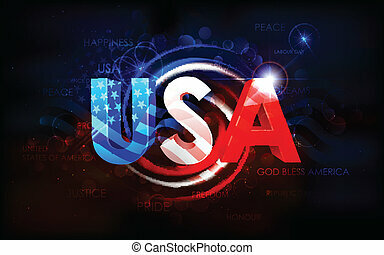 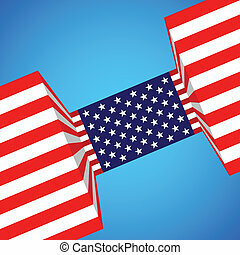 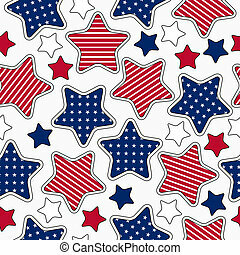 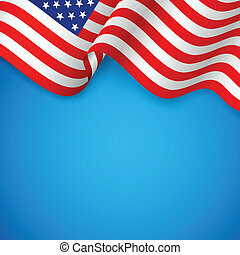 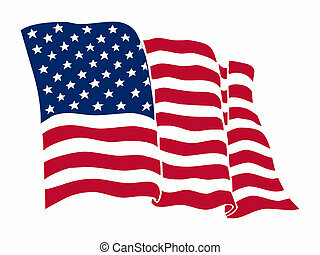 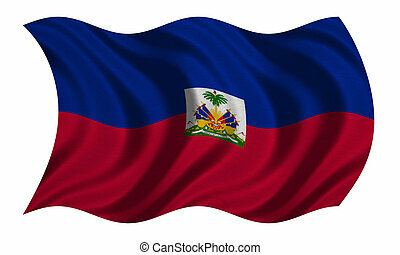 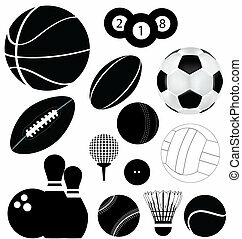 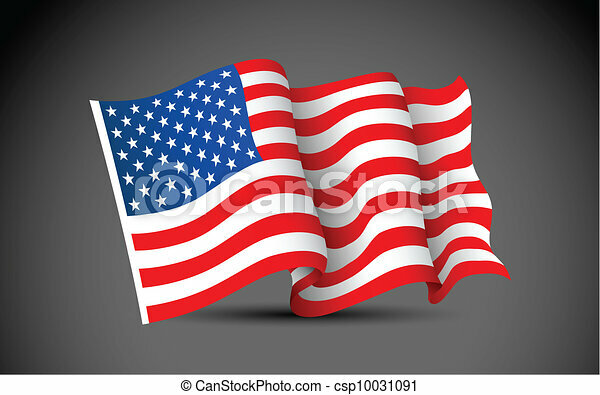 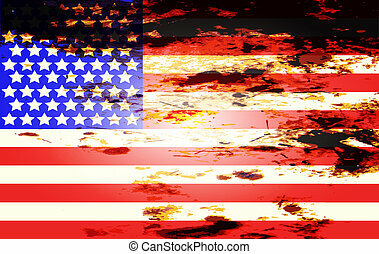 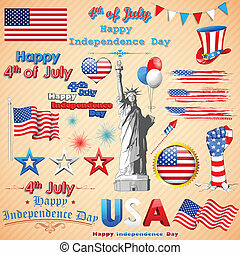 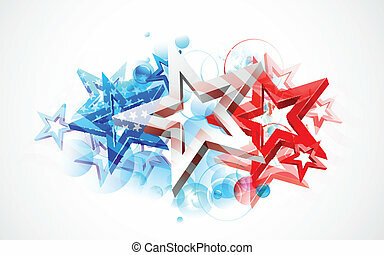 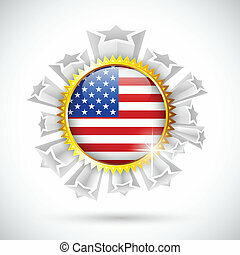 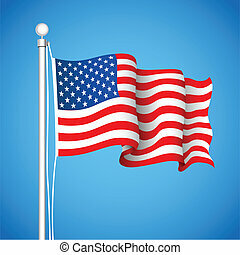 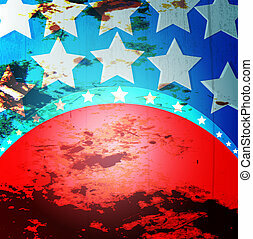 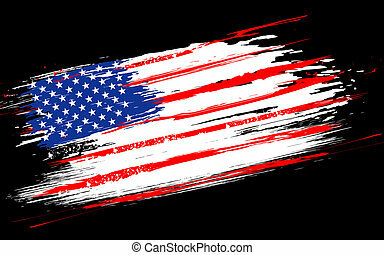 Illustration of waving american flag on dark background. 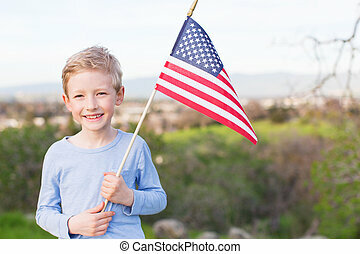 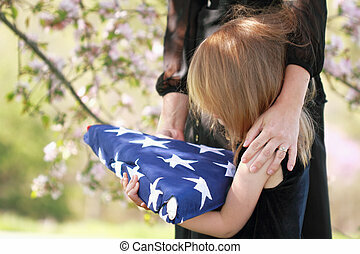 Daughter holding a parents folded American flag with a womans arms wrapped around her. 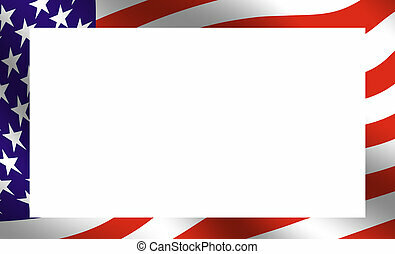 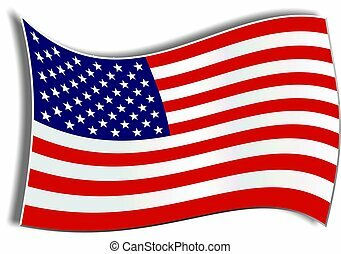 Frame composed of the American flag.